How Much Money Do you Need to Start an Amazon FBA Business? So the question is really simple – how much money do you need to invest in stock to start an Amazon FBA business? The short answer is £1000. Let me cover the budget issue in detail in this blog post so you know for sure whether or not your situation is suitable for the Amazon business model. First of all – when I talk about starting an Amazon FBA business, I’m referring to private label products, imported from China (in most cases). This means that you create your own brand, source products from China, brand them, import them into the UK (or whatever country you’re in), send your stock to Amazon’s warehouse, and start selling. This is what I have always been doing and in my opinion it is the BEST way to build a profitable business on Amazon. Retail arbitrage – where you look for heavily discounted items online/offline from popular retailers with the aim to buy and then flip them on Amazon for a profit. Wholesale – where you buy from local, UK based wholesale companies, like Pound line wholesalers and others. Liquidation & Clearance – where you buy liquidated/clearance stock from specialist companies. This can also include tested or untested customer returns. With these models you can start selling on Amazon for as little as £50 or even less! As all it takes is for you to find good deals on products already selling on Amazon, then you can buy them in small quantities (retailers don’t have an MOQ!) and start selling! The problem with these models is that they’re not real businesses in my mind – they are more like a hobby type of business or second income business as you will find it very hard to constantly look for good deals and at the end of the day it still all comes down to who can offer the lowest price on Amazon for that particular item. This can be a good training model though for people who don’t have enough money to start importing – to get used to Amazon’s platform, Seller Central, rules, how it all works etc. But to be perfectly honest, even with a £100 budget you can actually start importing from China and that’s the way I would recommend people go, even with super small budgets. Going back to the main private label products model – the question really is not that much about how much money you have to invest but what product you’re trying to source with the money you have! I have talked about this a lot on my blog and I usually refer to it as the BUYING POWER you have. And here’s why your Buying Power is what matters most – if you want to source products for low enough prices to make a profit on Amazon (or anywhere else for that matter), you need to source them directly from manufacturers – usually in China (but it can be Pakistan, India, even the UK or EU countries for specific products). But why? Why can’t you just buy those same products from local wholesalers? The only way to improve/change a product as per your needs is to buy from manufacturers directly. There’s no question about this really – you have to accept that you’ll have to deal with manufacturers directly which obviously means a pretty high MOQ (minimum order quantity) to deal with – quantities like 500 or even 1000 units per product are standard for most common goods. While buying 1000 units at a time may sound scary to you – this is how it works and if you’re not willing to take these risks, maybe you shouldn’t be in business at all? As having a business by default means that you’re willing to take risks that others are not! Also, if you’re doing proper market research on Amazon and know your numbers, 500 or even 1000 units of a product is actually not a lot! Like I show in the free video you can watch on my blog – I sold more than 1000 units in my first month selling on Amazon! In the worst case scenario, if you have done your numbers properly, you should be able to sell off the stock at cost price to not lose any money and just learn from the experience. The good news is that while 500 or 1000 units of a product may sound like a HUGE investment, IF you pick the right product, it could actually mean that you’re investing just £500 or £1000. Yes, there are thousands of products you can source for a relatively low price of just $1 to $3 a piece and sell for £5 – £15+ on Amazon. So, to answer the question of how much money you need to start selling on Amazon – I’d say that £1000 is a good number to begin with as that will allow you to buy 500 units of a cheap product that costs $1-$2 in China. Of course, the more money you have the better, as a bigger budget will open up more possibilities on products you can sell! For example, if your budget is £10k, you can buy 500 units of a product that costs $10+ in China. And this is a product that could sell on Amazon for up to £30-£50 or more. Or you could of course invest into 3-4 cheaper items, to diversify and spread your risk. But what about people with super small budgets, like £100 or £200? Would it be possible for them to import something from China at a decent quantity? YES!!!! There are products that can be bought for $0.10 and even less! And this means that you can buy 500 of such product and get it shipped to you for £100 or less, if it’s a very small and lightweight product. Then you can use Amazon’s Small & Light program and sell the item for just a few pounds and still make very good profit per sale as the FBA fee will only be 60p or 80p, depending on the item’s size!!! This means that even selling an item for £3 to £5 can be very profitable and remember – you won’t have to process all those orders – Amazon will do it all for you! 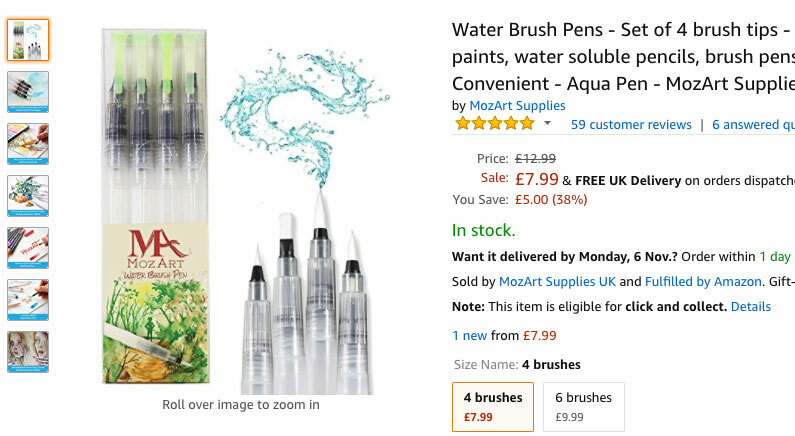 These water brush pens can be bought for 30 c and even less per unit on Alibaba.com! Obviously I don’t know how much money the seller spends on PPC but this example just illustrates how you can source super cheap items from China, use FBA and still make a very good profit. Here’s another tip for people on low budgets – say for example you have £200 and you have found a product that costs $0.50 in China with a minimum order quantity of 1000. You can’t afford that BUT what you can do is really push your supplier hard and ask them to do your first order at say 200 units. Say that you first need to test the market, customer reaction, product quality and so on. Not all suppliers will agree to this but many will! IF the product you’re sourcing is in stock at the manufacturer and they don’t have to run the production line for you, it is actually very easy to negotiate smaller MOQs, especially with suppliers who are actively looking for new customers. This may mean that you’ll have to pay a slightly higher price, and that’s perfectly fine as long as your margins will be able to support that. This is a very powerful strategy that many people overlook – I had one situation when my manufacturer had set the MOQ for an item at 1000 units. I really wanted to test the product but didn’t want to commit to that large of a first order without seeing how it would sell (as the product was quite unique, with no real equivalent on the market). And I knew that they already held stock of the item as I had actually asked them to send me images of their warehouse/stock room!!! Long story short – the supplier agreed to an initial order of just 100 units, at almost the same price they quoted me for 1000 units because they honestly said that they are looking for new customers in the UK and want to build a long term relationship. To sum it all up – it doesn’t really matter how much money you have, it all comes down to starting with a product that is suitable for your buying power, and of course – the time & effort you put into this! You need to hustle real hard if you start with nothing! Contact as many suppliers as possible (not just 2-3) and really push them hard on MOQ negotiations. Trust me, if you try this with enough suppliers, one will agree with your terms and you’ll be able to source a much smaller quantity of the product than initially quoted. Don’t forget about the branding part though. Remember, we’re trying to create something unique and sell a BRANDED product on Amazon, not just another un-branded version of the same product. You have to allocate some money for the logo, packaging design (if needed) and product photography. Packaging in most cases won’t be your number one priority, but a logo and great product pictures will be! You can get a logo done on Fiverr for $5 but you can also get it done for $20 or $50. I wouldn’t really go with the $5 option as you will get what you pay for. But say $30-$50 should get you a decent quality logo on the same Fiverr.com or even Upwork.com. When you’re on a small budget, you need to take some risks. For example, you put a logo design project on Upwork.com for $50. Obviously experienced designers won’t apply as the price is too low. But you’ll get many offers from new designers just starting out on Upwork – they won’t have any feedback yet or glowing testimonials but that doesn’t mean they can’t do a good job for you! Check their portfolio and if you like what you see, take the risk and hire them! In the worst case scenario, if they don’t provide a logo design of the quality you expected, you can cancel the project and move on! So think smart and invest smart, when every penny counts. Going back to the whole importing process – product cost is one thing but you’ll also have to cover the shipping fee, import duty & VAT. The shipping costs you’ll get from the supplier but import duty and VAT you can calculate following this guide. Or simply use 25% as a general number to calculate how much you’ll have to pay in taxes. Each and every product is different of course but in most cases you can use the 50% rule, which means that you can spend 50% of your budget on the stock itself, then it will be 20%-30% on shipping and the same amount in taxes to make up 100%. Obviously it’s better to play safe with this so please do calculate all costs before you buy anything so that you don’t end up in a situation where you have ordered products but have no money to pay for import duty, VAT or product pictures. Speaking about product pictures – they’re your number one priority, after the product itself. So you must allocate some of your budget for professional product images on a white background as well as some lifestyle images (with people ideally, or say pets if the product requires that). How much you spend on this process depends on YOU! You can simply use online services that offer this OR you could get in touch with multiple local photographers and try to arrange a better deal, possibly even a free deal! Say that you’re starting a new Amazon business and are looking for a long term relationship with a photographer who can do all your product images, social images etc. Say that you want to test them out with one product! Photographers LOVE long term, regular customers and if you contact 10 people, I’m sure that at least one will happily do your first shoot at a discounted price or even for free. It’s all about relationship building and talking with people – don’t forget that not everything has to happen online! You should actually start by asking around and seeing whether any of your friends have a photographer contact they can share with you. LOOK AROUND!!! Ok, I’m veering a bit off-topic here but I just wanted to show you that you can still do many things and start selling on Amazon, even using FBA, on a very small budget and still make profit! I don’t believe in there being too small a budget for this – it’s all about what you do with the money you have, how smart you are – are you ready to hustle for real and simply get things done? If your budget is lacking slightly then you need to make up for it with drive and determination. I hope you agree? If you have already started selling on Amazon, I would love to hear your stories on how much money you invested or any money saving tips you can share with other blog readers! So feel free to leave your comments or questions below this post. (1) When dealing with suppliers do you recommend suppliers that ship to Amazon FBA directly or have the Items sent to a UK intermediary such as FBA Prep UK ? (2) Do you have have any experience (positive or negative) of using DPP from China where all taxes are handled by the supplier ? If so – do you recommend ? (3) How do you deal a new supplier with regards to samples ? Straight to amazon FBA or to your home address ? (4) From the point of payment of transaction with the Chinese supplier, what time frame do you factor for when the goods will be physically in the amazon warehouse available for purchase ? Appreciate any advice you can provide. 1) Suppliers, if you mean companies in China, can’t send goods directly to Amazon. Amazon can’t act as an importer so there will always be a middle man involved (even if the supplier tries to present it in a different way). 2) DPP? You probably mean DDP? Bad experience for me and others who have tried it from China. Basically, suppliers will tell you that they do DDP while in reality they will under-value goods and underpay taxes (if any) and you don’t have any records of those taxes paid (VAT and import duty) and it’s impossible to book such imports etc. Don’t do it. 3) Of course, you send samples to YOU, not Amazon. 4) Depends on the shipping method, production timeline – can be anything from 3 to 4 weeks up to 3 or 4 months. Quick tip/advice – I can see from your questions that you’re totally new to all this – don’t rush it! You have to learn A LOT to make this work so don’t make any moves until you’re 100% confident in what you’re doing. Many gurus on YouTube will tell you how easy it is to make millions on Amazon FBA while in reality, it takes A LOT! A good skill set, creativity, business acumen to make it happen. Just stick around – learn everything you can about the FBA game and then make your first moves. Thank you for all your advice…really appreciated. I’m right at the beginning of my FBA journey and trying to learn as much as possible. Most of what I find is geared towards the US marketplace, so it’s great to find so much useful information from someone experienced in the UK. Thank you Andrew. I do not have much of a contribution to make as I am waiting for the course to become available so I can start selling on Amazon. I am a total armature. All I know is what I read or watch on internet. Thank you for suggestion of how one can have a logo designed. I patiently await for the course to start. Really enjoy reading your blog posts i am learning alot. I have found a manufacturer in china, They have agreed to send me out a free sample. Do i have to be worried about import/border tax or anything like that or is it ok for one item. 1) Most important – Amazon is not Ebay. They are much stricter in terms of metrics and buyer satisfaction. While doing your initial period, be very careful what you do, it can be very easy to be suspended completely from Amazon. 2) Buyer satisfaction means you will frequently lose A-Z Claims, have a much higher return rate, and refund rate through FBA. You lose control of your customer service, and Amazon Buyer Support are much more likely to return/refund than you are. 3) Forget retail arbitrage. Not only is it lots of work, you will find it impossible to create a sustainable business on Amazon. When Amazon come calling requesting your supplier invoices, then buying something from Argos will be rejected. 4) On Ebay, you are competing against other sellers. On Amazon, you are competing against other sellers and Amazon themselves. Tricky when they come on your listing – but with private labelling, you have some sort of firewall, but it still happens. 6) You really need to do private labelling properly. You need logos on your product/packaging, you cannot simply re-brand generic Chinese goods with a sticker. You need to trademark properly – otherwise you’ll have the same problem as everyone else.. and you will not own the listing, Amazon does. 7) Verification processes – of account, of categories, of just about anything! 8) FBA is no good for long tail products like books – they have twice yearly long term storage fees. 9) Small and light needs to be an established fast selling product. Be aware that they often send in a grey mailing bag type, so might need to pre-package if fragile. 10) Is that enough doom and gloom? 🙂 I know you need to be enthusiastic Andrew, but Amazon is a lot more severe than eBay, and requires a lot more work on keeping inline with their policies. (Interestingly, if you read the Amazon forums, many people are suffering slow sales and decline, and many still are moving from Amazon to eBay). My view on this is that you get a good 2-5 year honeymoon while you are new and build sales, products etc, but you are only pushing out existing sellers more and more, and that becomes you one day when everyone is trying to do it! I have also been selling on Amazon for 3 years now and while I can agree on some points, my experience has been different on many things you mention. I ONLY use FBA and I ONLY do private label products (for a reason of course). 1) Metrics – yes, Amazon is stricter BUT if you use FBA and your product is high quality, I have never had any problems with my metrics, unlike with eBay where maintaining low Late Delivery metric is almost impossible. 2) Again, product quality/value you offer to customers. I make sure the product I sell is nothing but AMAZING and buy return rate is ultra low, ULTRA low!!! 3) Yes, I agree and I already mentioned that in the post. 4) It is not a problem when you have created a real brand and sell your own products. Amazon can’t copy your brand. Again, reason why I only do private label products. 5) Totally not true! Take 20 products and analyse prices for top 10 listings on eBay & Amazon and you’ll clearly see which platform has higher prices. While doing this, don’t forget that most listings on eBay will come with FREE P&P while on Amazon it’s separate shipping fee. You say “there’s no way to distinguishing your service on Amazon as it’s FBA” – you don’t NEED to distinguishing your service on Amazon! People are perfectly happy with the service Amazon provides for them (ordering, shipping, returns etc.). It’s the PRODUCT that you can stand out with on Amazon – reviews, images. Amazon’s search algorithm is heavily built on reviews and conversion rate unlike on eBay, where it’s mostly just conversion rate based. 6) Yes, of course you have to! I’m not saying you can simply put a label on a product, that’s not what I teach to do on Amazon! 7) Verification process is what it is. Don’t pretend being someone else and you’ll be fine. Category un-gating is another story but there are ways to quickly get around it too, even if you import from China. 8) Again, wrong. Of course, if you sell one unit a year, it’s no good. But this will never apply to proper private label business. But you can still use FBA for slow selling products – just don’t send in that much of a stock!!! Also, about long storage fees – if you send in stock after certain dates, you get almost 12 months of storage with no long storage fees and if you can’t sell stock within 12 months, then you shouldn’t sell it. 10) Not in my opinion. A lot more work? Again, not in my opinion – I do much less work on Amazon compared to eBay – I don’t deal with orders, shipping, returns, customer support is very minimal. Hard work to create a REAL brand, offer valuable product? YES! But that’s what you should be doing anyways. People are always complaining, especially on forums. Go to eBay forums and you’ll see same. On Amazon forums, biggest complainers are book sellers – very rarely I see there private label sellers. As I have been using Kindle for years now, I don’t really feel sorry for them as you can’t stay in a dying industry for years, ignore what’s happening around you and then complain that no one buys from you anymore. Instead of complaining, I would rather recommend people to just work on solutions, fix problems, look for alternatives etc. – basically – work on your BUSINESS! Complaining on a forum is not very productive and it just shows how many people nowadays are in business while maybe they shouldn’t be. I won’t argue with you either – I should have simply said at the top of my post that it relates to general Amazon selling, not just private labelling, which I think you’ll see most of it is true in that context. I know you are generally promoting it in conjunction with private labelling, which I agree, will get you through most of the problems encountered (there have been cases of Amazon listing on private labelled products – but from memory with is probably because they were not done very well – logos/trademarks etc). It was more a few “be aware” pointers to readers, because not everyone will do private label (like myself, who has read your blog avidly for a few years now). I agree wholeheartedly with the end though, sort your business, fix it, or move on to something else if all else fails – you have to work with what you’ve got rather than complain about it. I thought that I would share a quick tip with your readers, regarding product photography. I always get my supplier to arrange for my products to be photographed by a professional photographer in China. They charge me $20 per item & they send approximately 10 extremely high quality pictures of each item. That’s awesome, thanks for sharing this with us Sammy! Do they do white background photos only or can also do lifestyle images? I don’t really know if they do lifestyle images, as I only asked them for white background images. I presume that they can do whatever you want them to do, as they hired a photographer to come & take the pictures. Have I missed something here ? So if I order 1000 items from Alibaba, for example, football boots. Now that’s a lot of storage space required, so if Amazon are fulfilling the orders where would the stock be ? Also, has Alibaba got any better in terms of people getting scammed or is it still rife ? If you’re using FBA for order fulfilling, you’ll send stock to Amazon’s warehouse! So stock will be sitting there and order processed from there. New accounts usually will have storage limits though so most likely you won’t be able to sell truck loads of one SKU from day one before you have proven that you can sell it! 🙂 But these limits are pretty high anyways, thousands of units for small items. 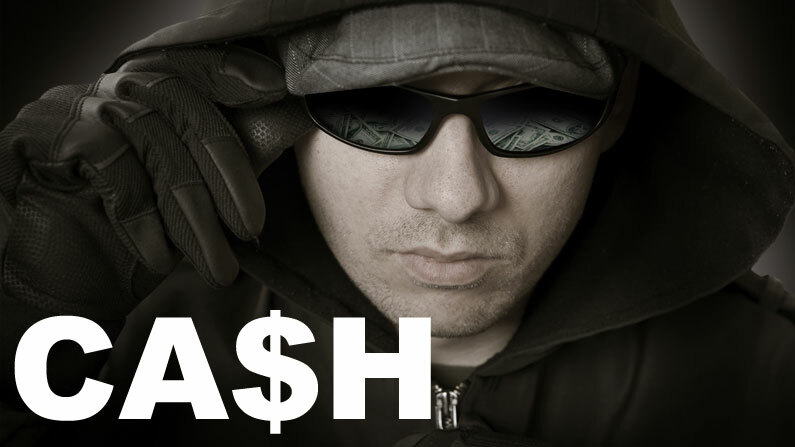 Alibaba – that’s a very big topic but to answer it quickly – if you stay away from high risk and branded goods, Alibaba is perfect platform to find suppliers with and scams are actually not that common (you just have to know how it all works, how to check suppliers, get samples, do inspections etc. etc.). So, it’s basically the same principles as we had on eBay with Amazon as the selling platform instead then ? So maybe I should start doing some product research then. Can this business be run alongside a full time job do you think ? eBay dos not provide a fulfilment service, like Amazon does, so these are radically two different business models. And Amazon business is perfect for people who have full time jobs as you don’t have to worry about order processing/shipping etc. Hi Andrew, good to hear from you again and read your thoughts on Amazon selling – very informative thanks. I’ve a question about FBA Small and Light. I notice that they are asking for items to fit into specific categories and this looks like UK Royal Mail Large Letter sizes and this make sense. However I’m uncertain about item packaging i include as I am assuming that Amazon puts FBA stuff in their own box …. or do they? This would allow the customer to choose the number of small items and Amazon to put the correct number in a box (just like i currently do). So if my item is in a branded tin 2.2cm deep (say lip balm for example) do i need to supply it to Amazon in a box which they simple add a label? Therefore total box size inc the tin needs to be within the Amazon limits. It would be a best for me to send a massive box with 1000 tins in and for Amazon to pick and put into boxes depending on how many tins the customer has ordered. You don’t have to worry about this really – Amazon will pack/re-pack as needed, based on customer order. And no, you don’t have to send it goods in “ready to ship” boxes, no. Amazon will use their own packaging anyway. Main point here is that if you spend on PPC to get your product noticed, increase sales, win the buy box, and get a good BSR on your item , it can all disappear very quick when your item goes out of stock, meaning you have to do all of this again, and risk other sellers upping their game and taking your share of the market! But apart from that, there is no other way to compete on Amazon other than as Andrew has outlined in his video, so you have to figure all this out on paper before you start, so this doesn’t happen. Great advice as always Andrew! Yes, you make some very good points and I will cover cash flow, stock projections, re-ordering and lots of other things in future blog posts. This one was more about the required start-up capital just to get things going. In you’re AS video you stated that to achieve your 11K sales you spent around 2K in advertising to get your product higher up the SEO position. In your opinion, would this 20% of say £1000 budget be enough to get meaningful sales? Another cost that you would incur is the EAN cost for registering your Private Label product. Is this around £100? I’m thinking that with £1K to spend on product, I would need another £500 to £1K to spend on packaging, EAN and PPC costs. Its the PPC cost that concerns me most as its hard for me to judge just how much you need to pay to get sales rolling (I assume that if you don’t use PPC you just get stuck on page 50 with next to no sales). Any advice on these matters would be of great help. I can’t answer you that question as it will obviously depend on competition for that product, click cost, your conversion rate etc. etc. But it’s not like you have to have that advertising money separately – you can set it up in settings so that Amazon takes PPC cost from your selling balance – which means that as you start advertising and getting sales in, the money from sales will cover (hopefully) your advertising costs. Hope that makes sense? As for packaging costs – very often you can start selling without custom packaging and just getting logo on the product. Or sometimes supplier will offer custom packaging for free if your MOQ is high enough. EAN codes – even though I recommend going the GS1 route, many Amazon sellers use cheap codes they buy from online re-sellers. At the moment Amazon allows them and it won’t make any difference to your listing success. I took your Easy-auction-Business course for Ebay, hoping that it will also help me with Amazon. It didn’t really helped me cause I was focused on selling in Amazon. Nevertheless I tried hard to follow all your Ebay rules, except the fact that I didn’t signed for a Business account there, but in Amazon. I started with some wholesale products. I was thinking of branding all the items but something always stopped me to do the steps. I mean that were products that could be easily labelled, but the MOQ was high and the budget was low. My wife bought one Item in a shop and came home with it. At that time, Every thing that landed to my hand was a potential good item. I looked into Amazon to check if they can be sold good. I bought 3 items from Chinese wholesaler (some based in the UK) and also this particular item from a shop in the UK. The item bought in UK was in very low quantity because the retailers haven’t got enough to provide. the first quantity was 30 or 50 or so and I sent them to Amazon. Surprisingly 2 weeks after my first buy, I ran out of stock. I was very happy and started to ask the shop to order more and more. I was even able to order more than 50 Boxes. Today in my category I am in the top 50. I did some research in China and sent them the picture of the items and I came up with 30 or so emails. the good new is they can provide the same design, the same color or different one, I can brand it and also add a packaging. The best thing is that the price is slightly higher (shipping + VAT + customs inclusive) the difference is £0.9 or lower. The MOQ is 2000 pcs = £3000 but I think I am ready to make this step now. By the way. I didn’t stop selling on ebay. My listings are clean, full of keywords, nice picture and so. There were days I could sell one item and weeks I could sell 3 or 4. Sellers on Ebay steal my pictures and use them. Even the pictures from Products on Amazon that I am not selling on ebay are stolen from Ebay sellers. I forgot to add few details. The product sells good. (200 – 300 per month) without any advert on it. I see a huge potential and after receiving your latest video. I think that I am ready to do the next step. Yes, sourcing does cost money, so does – getting a research tool for at least one month. Starting a business where physical products are involved obviously require capital and the more you have, the better. This business is not for people who don’t have spare £100 in bank account, that’s for sure. Each and every person is different though – some can’t make a £10k budget work while there are lots of stories were basically bankrupt people create massive businesses. So, we can talk about it all day long but it all comes down to each individual – how much creativity, passion, work ethic, patience etc. they have. Thank you for your new blog post! I’d like to ask you couple of questions. Does Amazon FBA offer a repacking service of the customer returns and what sellers should do when their items don’t sell very well, i.e there is no demand or a competitor/s offer the same product at a very low price. As for second part of your question – if there’s no demand for the item or you can’t compete with others, you have no choice but to liquidate stock at very low price and move on. Alternatively you can simply remove inventory from Amazon FBA (send it back to you) and maybe try selling somewhere else.